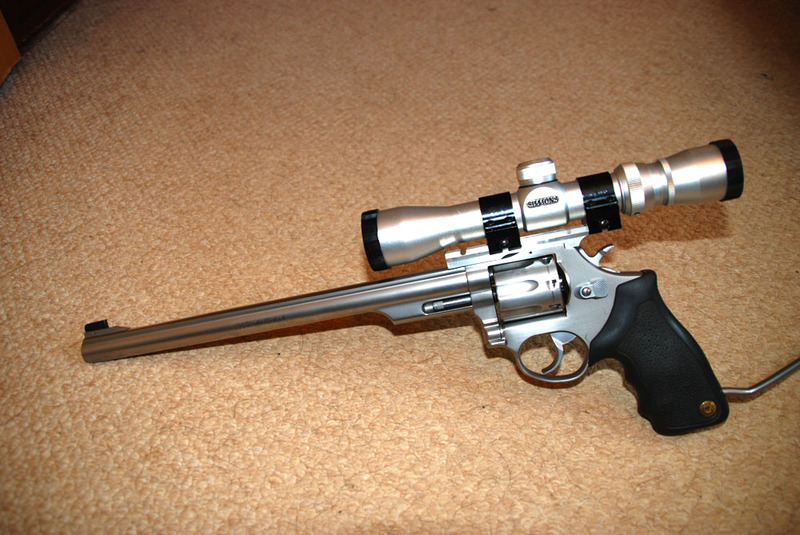 This Long Barrel Revolver was bought for a very reasonable price from another Club member. It is the gun I enjoy shooting the most – even though accuracy with LBRs can pose the biggest challenge of any of the sort of Gallery Rifle shooting we do at the Club. It takes much more practice to become proficient in LBRs than the time I can devote to it, but we do have some shooters such as Marek Pawlik and Richard James whose LBR skills are outstanding! I have tried this with open sights, and a red dot, but eventually settled on a pistol scope for better (but still not ‘winning’!) competition scores. 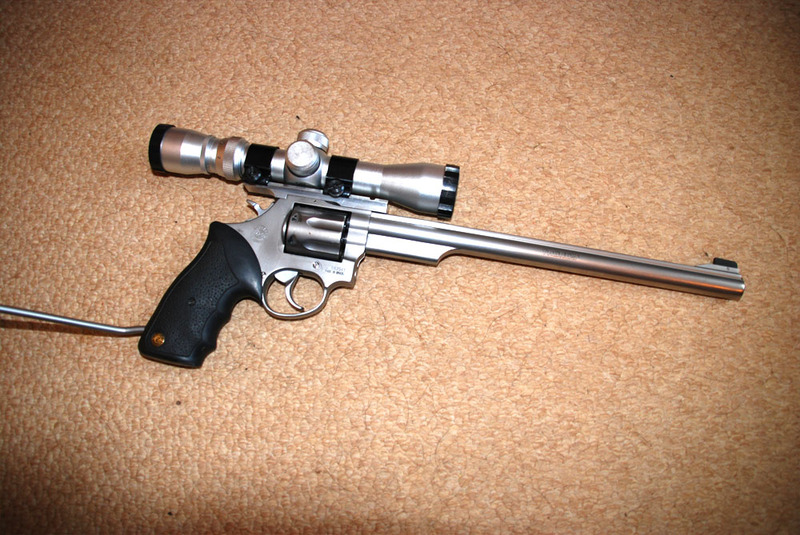 The scope pictured and the one I’m currently sticking with is a Simmons Pro-Hunter 2 – 6 x 32.